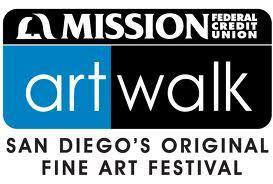 We are packing up and heading off to San Diego for the Mission Federal Artwalk this weekend! Looking forward to a great show in Little Italy. Weather is going to be beautiful! 18 city blocks of original art to see if you can make it out. It’s said to be the biggest art event in Southern California! Also we are extremely grateful to announce that our Kickstarter project has reached the 100% mark. Thank you!!! – Thank you!!! – Thank you!!! We are going to make some really cool things happen here in the new downtown LA gallery and share it with the world! We have 13 days left in the campaign if anyone would still like to be a part of the project! Remember that the “Ingredients to a Dream” painting is ONLY available through Kickstarter and all editions and formats of this painting will be closed on May 10th so if you want to own this special piece of art and support a dream check out our video below to learn how you can do that!